The Mercedes-Benz branded batteries will go on sale later this month. German automaker Daimler AG announced last week it will soon launch a stationary battery business, following Tesla's similar high-profile move into batteries for homes and businesses. 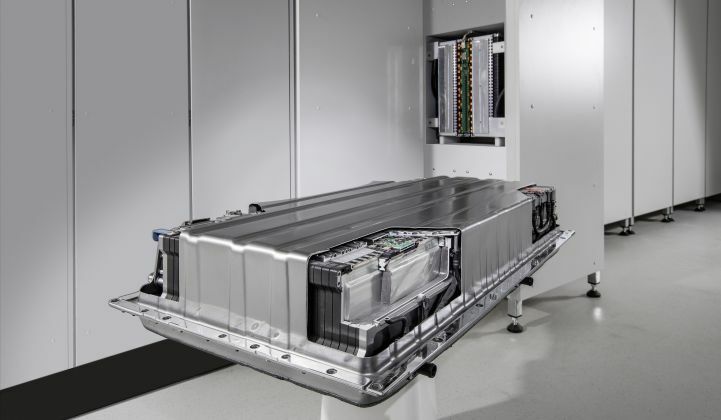 Daimler will offer Mercedes-Benz branded lithium-ion batteries for scalable energy storage solutions, leveraging the expertise of its fully owned subsidiary Deutsche Accumotive. The automaker will deploy batteries for residential and commercial customers in partnership with the German utility EnBW Energie Baden-Wuerttemberg AG, and is currently seeking additional sales and distribution partners both in Germany and abroad. Accumotive will make battery modules for stationary use in 2.5-kilowatt-hour or 5.9-kilowatt-hour versions, which can be stacked for larger applications. Daimler has already deployed its first industrial-scale storage unit on the German grid, which is being operated by partner companies The Mobility House AG and GETEC Energie AG. More than 500 kilowatts of energy storage are already in use. 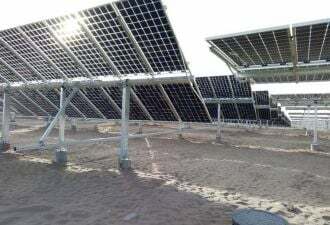 The system will reach its full size of 3,000 kilowatt-hours in the coming weeks. Grid-scale storage may be the easiest way to enter the market in Germany, because there’s an existing market for primary reserve energy that can respond in seconds to manage fluctuations on the grid, said Frank Spennemann, senior manager of business innovation at Daimler, in an interview. This market will only grow as countries move away from coal and nuclear power plants, adopt renewable energy and need ways to keep the grid stable, he said. Daimler also sees a strong market for businesses and homes interested in peak-shaving and load-shifting to balance generation from rooftop solar installations. Tesla recently captured the public's attention with the launch of its highly cost-competitive energy storage business. The company said it already has 40,000 reservations for its battery products. According to Spennemann, Tesla represents both an ally and a competitor in the nascent energy storage market. “But, overall, I think it helps if more well-known companies with public recognition are active in the energy storage market, because it might change the thinking of politicians to open up the regulations for more use of storage that can help create a bigger market,” Spennemann added. The Mercedes-Benz energy storage plants will be available for order later this month at Intersolar Europe, with deliveries scheduled to begin in October. Daimler has yet to release its price points, but will offer pricing that is “competitive in different markets and different applications” due to the company’s size and buying power, said Spennemann. Daimler expects the safety performance of its automotive-grade lithium-ion batteries to be another advantage. Daimler was one of the first automakers to use lithium-ion batteries with the S400 hybrid electric vehicle in 2008. The automaker developed its batteries for several years in partnership with suppliers, including Tesla. Daimler was an early Tesla investor, but sold its stake in the company last year. Daimler purchased a stake in Accumotive in 2009. The plant came on-line in 2011, then Daimler bought the battery-maker in full in 2014. Today, Accumotive employs more than 250 people split between two locations -- roughly 80 employees at headquarters in Nabern and some 170 people at the production plant in Kamenz. The Kamenz plant is currently undergoing an expansion to support the launch of Daimler’s stationary battery storage business. The footprint of the facility will see a fourfold increase, and the number of employees at Kamenz will nearly double by 2016. Daimler AG plans to invest 100 million euros in Accumotive in the coming years, as it eyes market opportunities outside of Germany. “We are currently analyzing international markets that look interesting to us, and so far, the U.S. seems quite interesting,” said Spennemann.